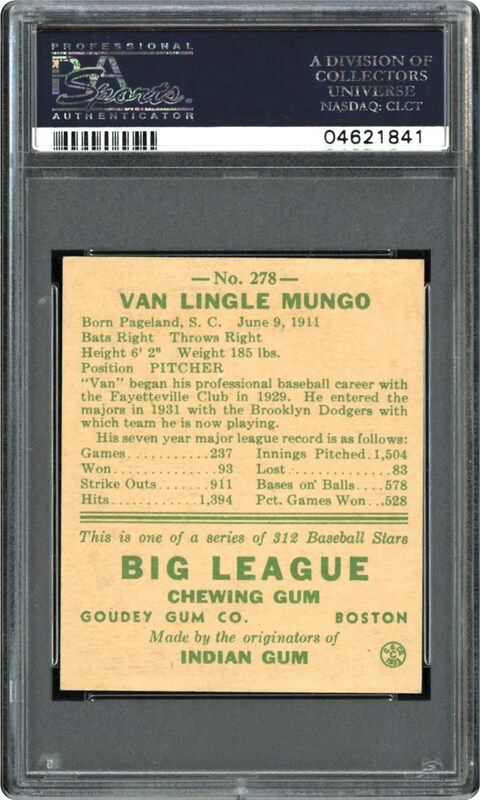 Lot # 126: 1938 Goudey “Heads-Up” #278 Van Lingle Mungo (PSA NM/MT+ 8.5) - “1 of 2”; Only 1 Graded Higher! 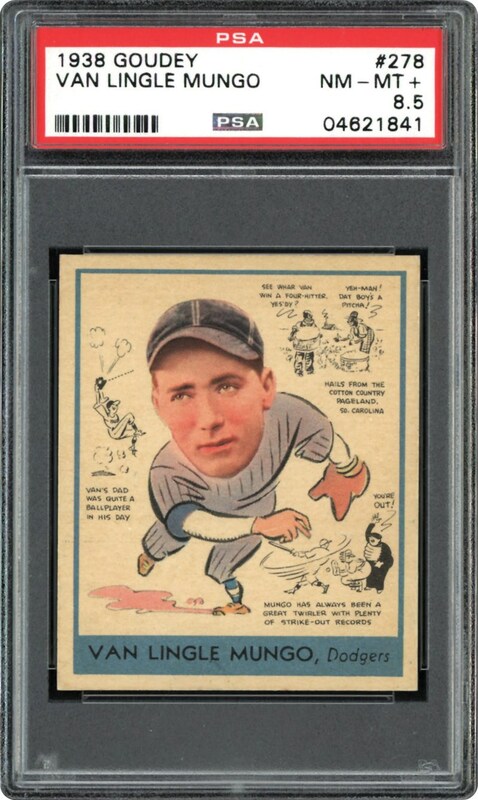 1938 Goudey "Heads-Up" #278 Van Lingle Mungo (PSA NM/MT+ 8.5) - "1 of 2"; Only 1 Graded Higher! This magnificent PSA NM/MT+ 8.5 Van Lingle Mungo offering joins only one other copy at this hallowed plateau, with only a sole example graded higher! Indeed, the Brooklyn Dodger's right-handed pitcher has never looked better than on this cardboard "blazer" appears as if it has just been pulled from a 1938 Goudey bubble gum pack. Near-perfect centering, a vibrant hued Wingo central image, bold black anecdotes on the fresh-looking surface, and pinpoint corners all justify the scarce assessment that places this offering as a world-class collectible!